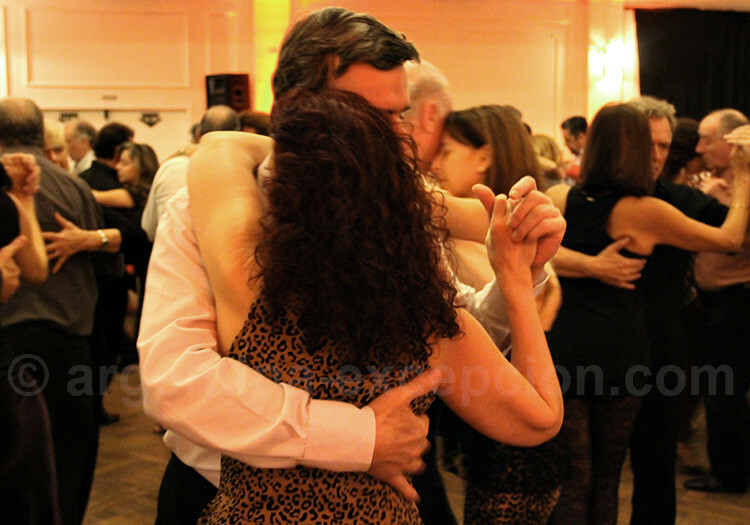 Description: only in summer, free milonga in the open air, in a gazebo. Opening hours: from 7pm to 12pm. Address: 11 de Septiembre & Echeverría, Barrancas de Belgrano. 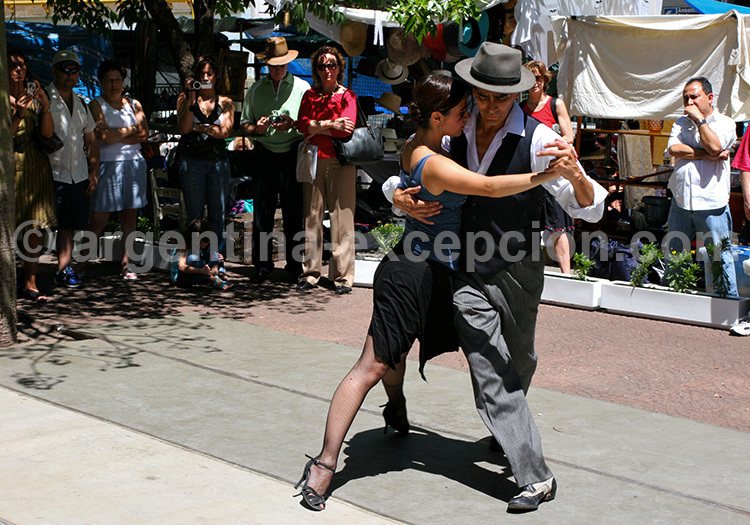 Description: Parakultural is one of the most important milongas in Buenos Aires. Good dancers guaranteed and often masters. Best days: monday, tuesday & friday. Opening hours: from 11pm to 4am. Address: Scalabrini Ortiz 1331, Palermo. Description: one of the best-known milongas. 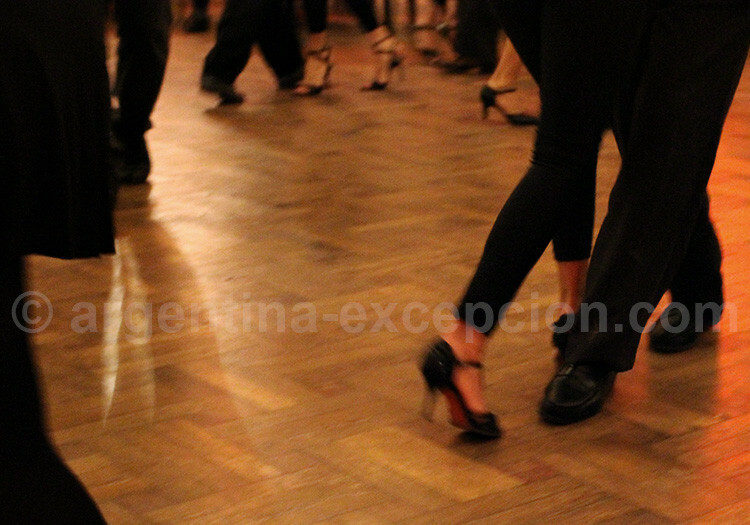 In the basement, a big hall crowded with people and different atmosphere according to the time: early, many beginners and non-dancers. As time goes by dancers start showing up (not before 3 am) to end by breakfast time. Best days: friday & saturday. Opening hours: from 12pm to 6am. Address: Centro Armenio, Armenia 1366. Description: unique alternative place in a hangar covered in paintings, an antique shop. Vegetarian food served. Regular concerts. A few good dancers and a lot of curious people. Opening hours: from 8:30pm to 4am. Description: one of the most traditional milongas. Small hall, small dance floor, low lights, very respected milongas codes, very high dance level in general. Best days: wednesday, thursday & saturday. Opening hours: from 8:30pm to 1am. 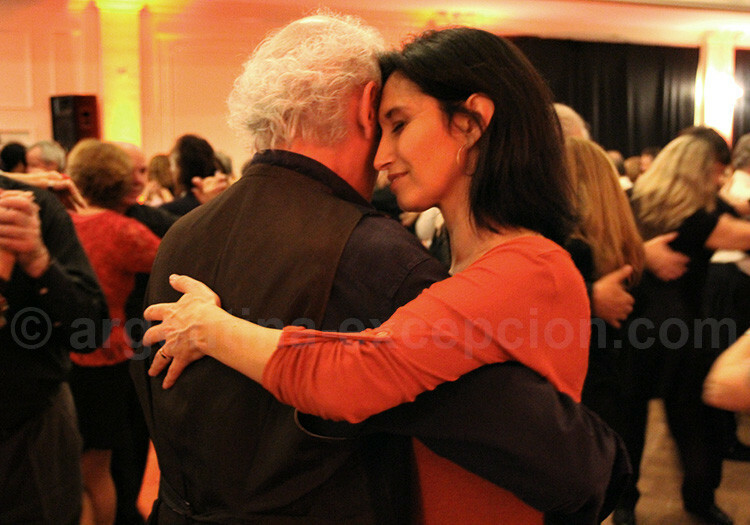 Description: traditional Milonga in two halls. Opening hours: from 11pm to 3am. Description: in a magnificent historical Belle Epoque building. 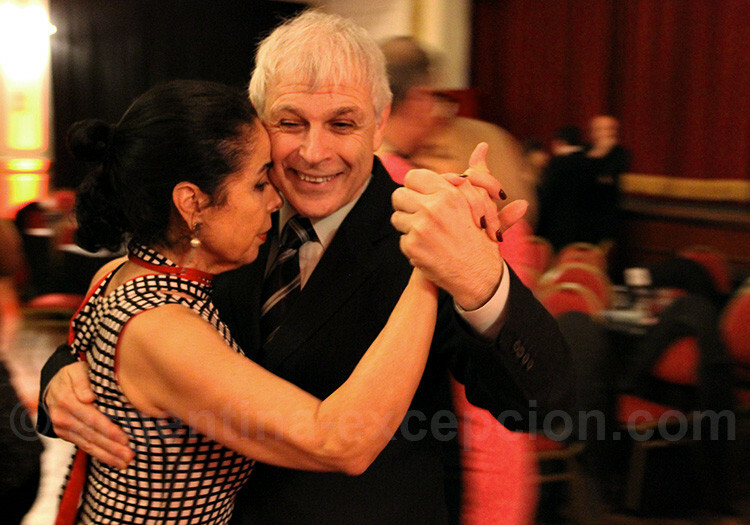 Milonga in the “morning”, starting at 3 pm. A place which many toursits attend but which is well-worth visiting. Opening hours: from 3pm to 10pm. 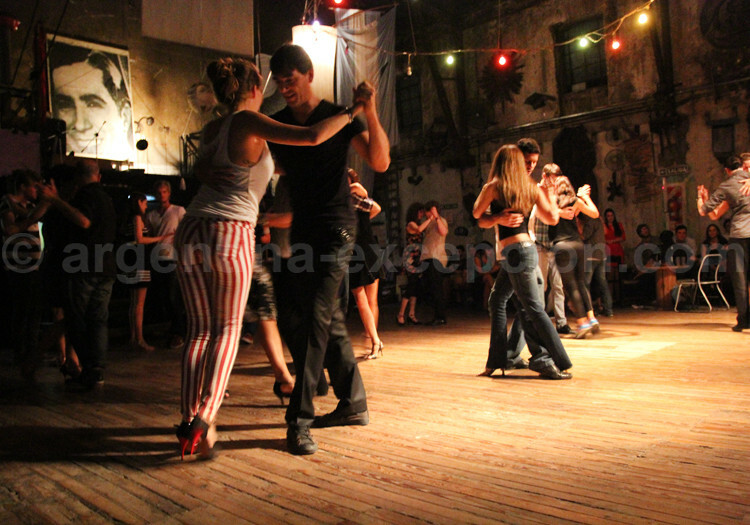 Description: in a beautiful house in San Telmo, milonga with Orquesta Típica El Afronte at 11pm. Opening hours: from 10pm to 3am. Address: Perú 571, San Telmo. 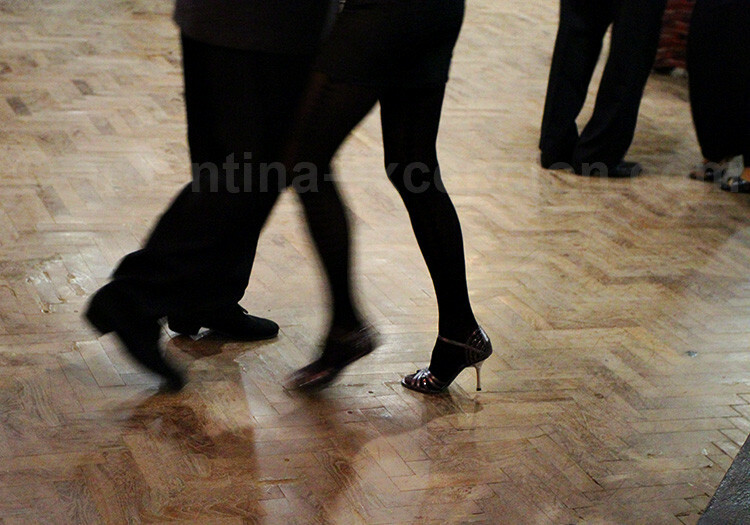 Description: nice small traditional milonga in San Telmo. Address: Shusheta – Piedras 936. Description: warm and relaxed atmosphere in an old house in San Telmo. An orquestra is often invited. Few codes. Very informal. Address: Independencia 572, San Telmo. Description: free of charge, relaxed and small-neighborhood-like atmosphere. It welcomes dancers who begin at Dorrego Park. A few codes, medium dance level. Address: Centro Cultural Torquato Tasso, Defensa 1575, San Telmo. 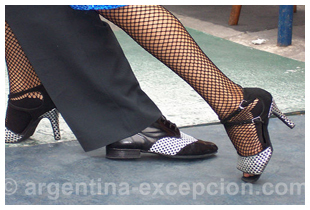 Description: free milonga in the open-air if it does not rain. Popular and relaxed. Address: Humberto 1° & José Aieta, San Telmo.